Rotary District 5040 has been and continues to be a strong supporter of the PolioPlus campaign. The clubs, members, & friends of District 5040 contributed US$274,117 to PolioPlus. The District was recognized at the RI Convention 2018 in Toronto for being #10 of 540 worldwide districts in total giving to PolioPlus. Many clubs throughout the District held Polio Day or polio-related events. The tri-club event by the three Prince George clubs on Polio Day pledged over C$7,600 to PolioPlus. Richmond and Richmond Sunset sponsored the concert by the China Disabled People's Performing Art Troupe and received C$10,000 for polio. 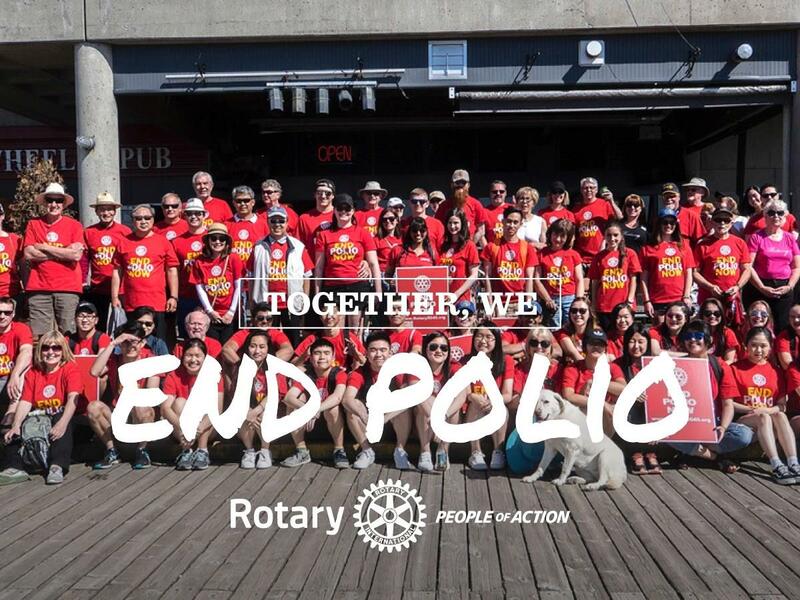 The successful Polio Walk 2018 organized by the Burnaby & NewWest area clubs raised C$10,708. We will soon see the last polio case and be able to declare the world to be polio-free. Until then we will continue to build awareness, raise funds, and advocate for the children of the world so no child ever again suffers from this terrible disease.